She's Sew Crafty: Kenny K's OMG Release! I hope to see a big turnout for this week. Our sponsor is Kenny K Downloads. The winner will get to choose 5 digis! I used one of the gorgeous new OMG girls for my bookmark. I thought with her long and lean lines a bookmark would be perfect! I used a My Mind's Eye paper pad and used the Tattered Florals die to make the flowers. I fluffed them up for the pic and added a little bling to the centers, but they lay nice and flat to fit in between book pages. 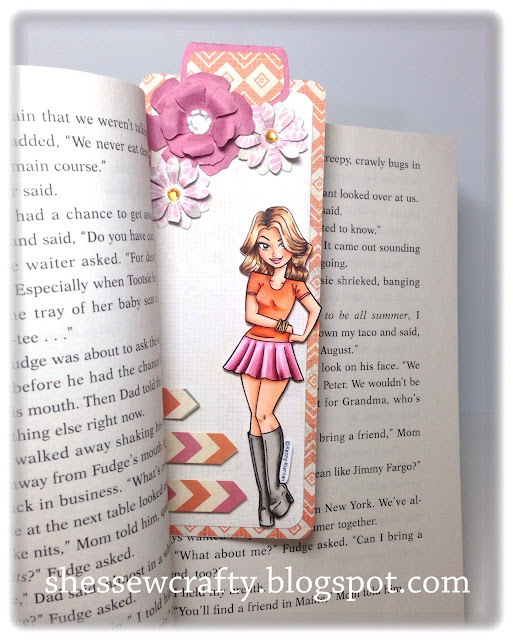 I think this would be a great bookmark for a teen or tween. Maybe it would even get them to read just a tad more...maybe? 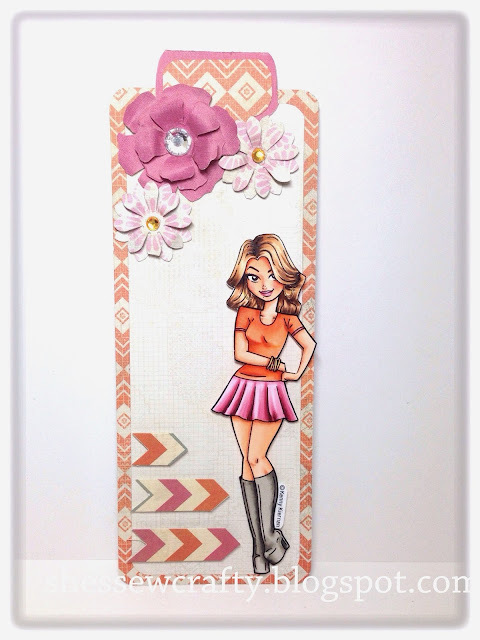 Our wonderful Team A has more inspiration using the new OMG girls on the Kenny K blog. I hope you all find the time to join in this week: Anything Goes!!! In a bit my last post as GDT for MarkerPop! will go live, so please come back and leave me some love, lol.